The Arctic route through Russia is the cheapest and easiest migrant way to the West, a key person involved in trafficking of people to the Norwegian border says. They learn about the route from social media and news reports, he maintains. The person, whose identity is not revealed, says to Bloger51 that he has been involved in transportation of people to the Norwegian border since summer this year. ”In the beginning, there were mostly wealthy people and families running from war”, he says to the independent newsmaker. ”Many were conscript age and afraid of becoming cannon fodder in the army of Assad, and there were also many doctors”, he adds. Bloger51 meets the man on condition of anonomity. With candid, he describes his involvement in the transportation of migrants through Russia towards the Norwegian border. He argues that his operations are not in conflict with the law. ”I am traveling on Russian territory and do not violate any law. They ask me for transportation and I provide it. What’s illegal with that?” he says. He adds that the migrants have the full right to cross from Russia into Norway and that Russian authorities can not stop them. ”If a foreigner wants to leave a foreign country, he has the full right to do so”, he says. He believes the migrants hear about the Arctic route from social media and from news reports. An article in the Wall Street Journal published early September was of special importance, he argues. He also underlines that the Arctic route is far cheaper than the southern routes across Turkey or across the Mediterreanian. 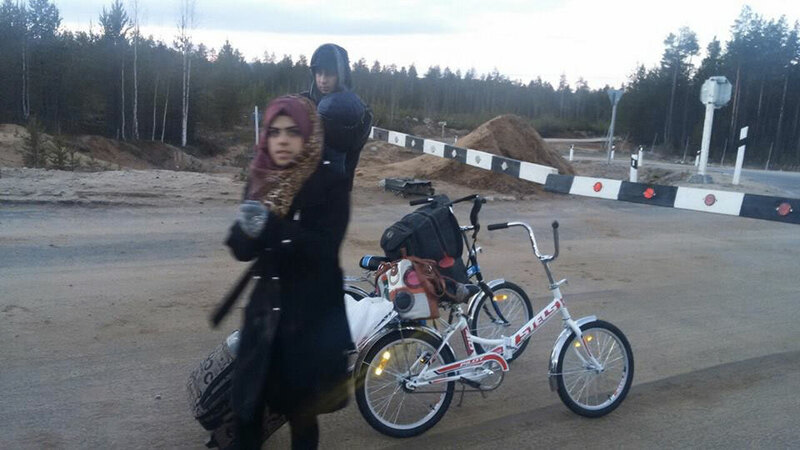 ”Two weeks before the explosive increase in the number of refugees, a Syrian man showed me a social media post with step-for-step instructions on how to make it to Norway through Murmansk”, he says to Bloger51. In that post, the low price level was presented as a key issue. 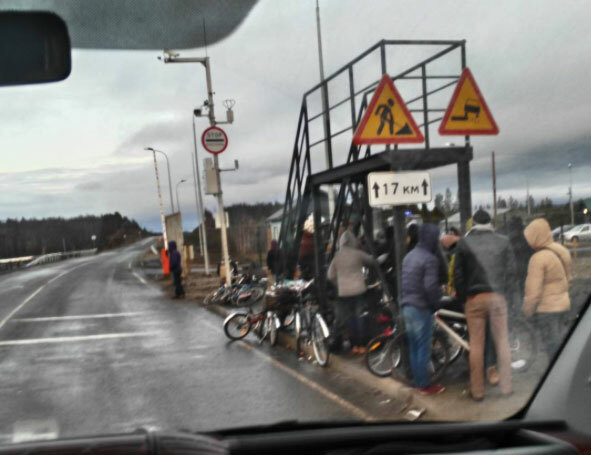 As previously reported, the number of migrants making it to the Norwegian Arctic border crossing point of Storskog has boomed and on Tuesday this week reached a record-high 197 people. Meanwhile, only a handful people are trying to make it from Russia into Finland. ”As far as I know, the Finns have stricter migration regulations”, he says, refering to a recent video published on the Internet. ”In addition, near the Norwegian border is the town of Nikel, and if something happens and you have to return, then you will be in a town, not in the middle of a forest like along the border to Finland”. ”Then comes the fact that people act like a flock: if everyone goes to Norway, then also I want to go to Norway”, he adds. According to the trafficker, there is now growing competition among the people making money on the migrants. Recently, the minibus belonging to one of the persons involved was put on fire in Nikel. In addition, pressure on Russian border guards is increasing. Two weeks ago, border guards were firing shots in the air to get control over group of migrants trying to make it across one of the Russian checkpoints. ”I hope the migrant flow will not escalate further”, the man says to Bloger51. ”The winter is coming and we have already had several cases of freeze burns”. ”The problems is that nobody cares about these people and the authorities do not want to take responsibility for any kind of reasonable organization of the migrant flow”.